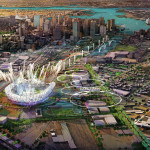 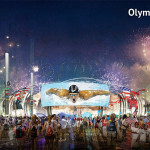 As you’ve probably heard by now, Boston blew past the likes of Los Angeles and San Francisco to be selected as the United States’ bid city for the 2024 Summer Olympics. 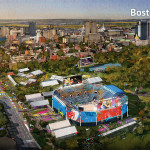 With the announcement official, Boston 2024, the private nonprofit spearheading the bid, has publicly released the presentation it gave to the Olympic Committee back in December. 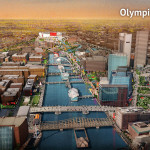 Boston public radio station WBUR reported that David Manfredi, of the Boston-based Elkus Manfredi, is co-chairing the bid’s planning committee and walked through the team’s presentation last week. 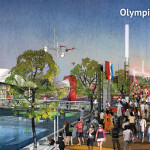 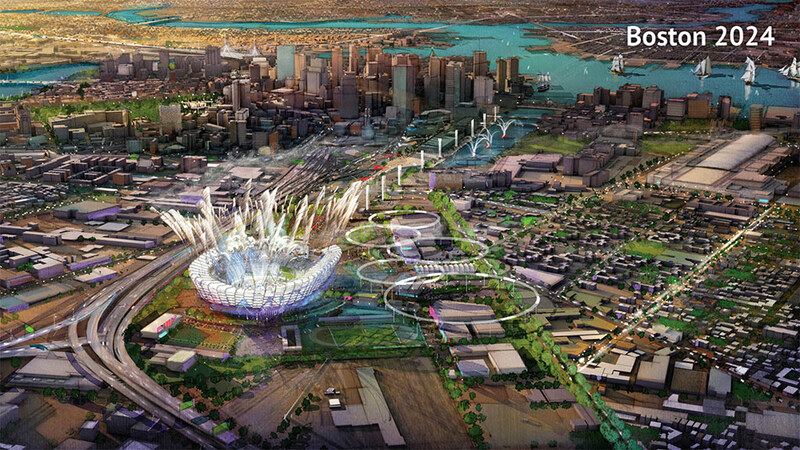 Manfredi reportedly said that Boston 2024’s planning goal is to make the games the most walkable Olympics of all time. 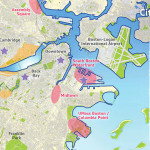 To that end, 28 out of 33 venues are within about a six mile radius. 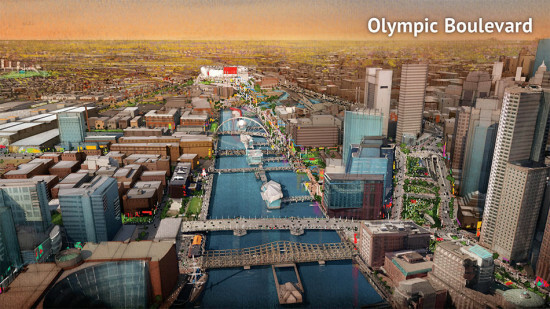 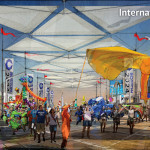 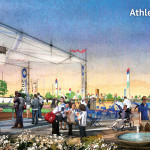 There is also the “Olympic Boulevard” which serves as the “pedestrian spine” between many of the facilities. 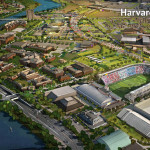 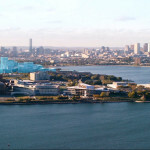 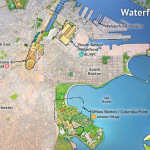 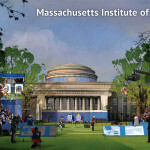 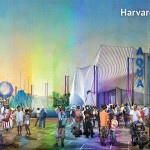 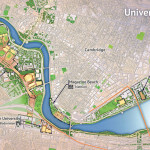 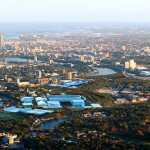 The overall plan has two main clusters of facilities, one near the water and the other around some of Boston’s most famous universities including Boston University, MIT, and Harvard. 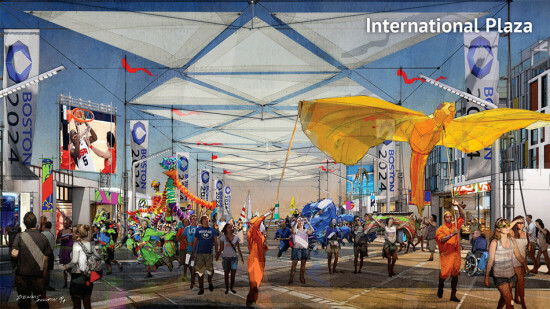 Take a look at the conceptual renderings below to get a sense of what could be coming to Boston in 2024. 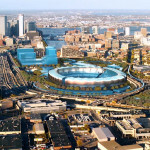 That is, if Boston can fend off its international competitors.